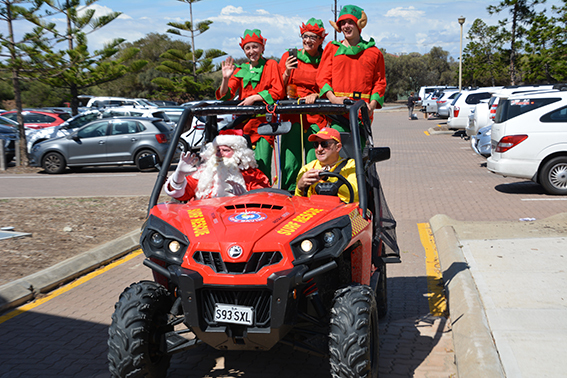 Semaphore SLSC has celebrated Christmas early with a special visit from Santa himself. His elves were also very busy handing out treats to the youngsters. Water Cover members were so excited about his pending visit they dressed up for the occasion. 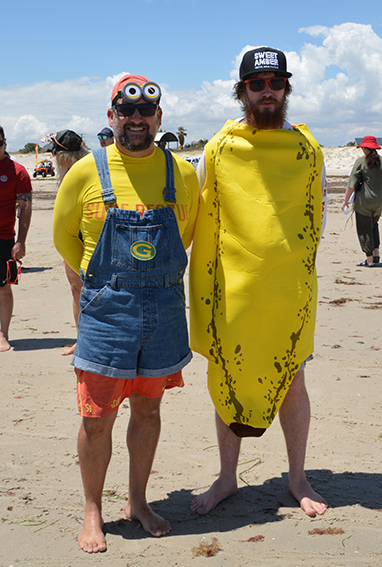 Thanks to all of those volunteers who made the day special for our nippers and their families. 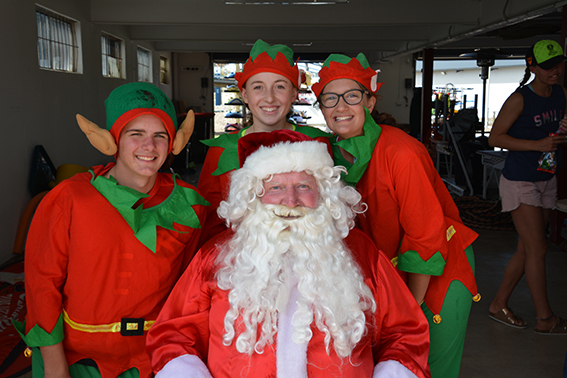 Full sized Santa photos are available for download. Simply email juniorsec@semaphoreslsc.com.au to get a link and password. Your child’s name and Age group must be included before access to photos can be granted. There’s no excuse not to make it down to the Club for a pre-Christmas celebration this week. Check out the specials! Nothing more to be said. 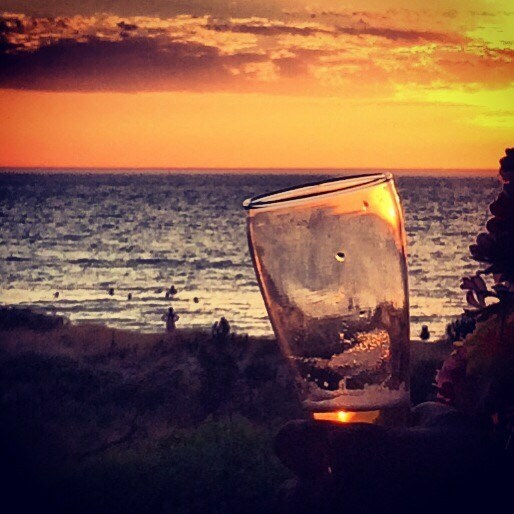 Get down to the Club Thur and/or Fri night from 6pm and enjoy the glorious food…oh and of course the view! Christmas raffle drawn this weekend! Tickets are on sale at the Club from this Friday night. Raffle will be drawn at 5:30pm on December 22nd. Those winners who aren’t present will be notified by phone. https://i1.wp.com/semaphoreslsc.com.au/wp-content/uploads/2017/12/Christmas-shot-2.jpg?fit=590%2C392 392 590 Kate Newman http://semaphoreslsc.com.au/wp-content/uploads/2014/02/picmonkey_image-1.jpg Kate Newman2018-12-18 21:50:242018-12-18 21:50:24Christmas raffle drawn this weekend! To all Members and their families, please join us on New Year’s Eve at the Club to bring in the New Year & to witness the Semaphore Fireworks display from one of the best spots along the coast!! The clubrooms will be open from 7pm until the completion of the Fireworks. BYO Supper & Bar facilities will be available. 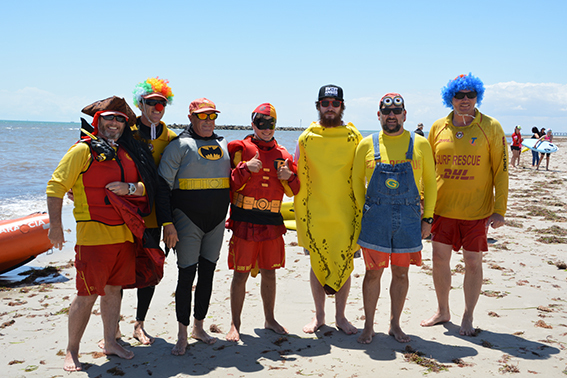 On Tuesday the 4th of December, the Club hosted a lunch for the FOSSLS – Former Old Semaphore Surf Life Savers, a group of Life & other Members most whose association with the Club dates back to our infancy in the mid to latter half of last century. The group of around 40, meet a few times a year, but this was the first time that they have met in the newly refurbished club rooms. After a tour of the new facilities, our special guests sat down for a feed & a few old tales on the balcony. The weather was great but the company & mateship was even better! Many hands make light work, so the more bodies we have the quicker we can get the job done. The Rotary Club has been very generous to the Club in the past and again will make a donation to the club as a thank you for our assistance. 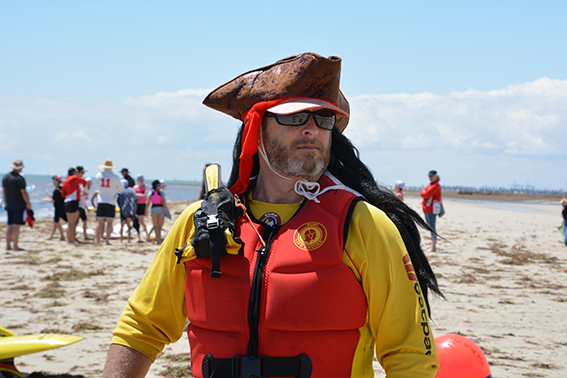 Even if you only have an hour or so to spare please contact Adam Sikorski on 0439 811 746 or treasurer@semaphoreslsc.com.au if you are able to help out on the day. 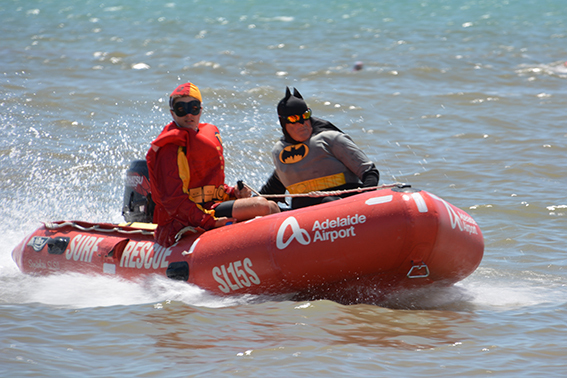 We invite all Members & their families to share in the official reopening of the Semaphore SLSC this Sunday. It marks a proud moment in our history. We want to celebrate this fantastic redeveloped Club that we as members can call our home. Together with the Rescue Ready Shed and the dedicated Training Room our facilities are now the envy of many. Emergency Services Minister Corey Wingard will officially reopen the Club in a ceremony with the Mayor of Charles Sturt Angela Evans at 11:30am. There’ll be a light lunch for members afterwards, with the bar open from 12:30pm and live music entertainment later on in the afternoon. https://i0.wp.com/semaphoreslsc.com.au/wp-content/uploads/2018/09/20180830_182716.jpg?fit=953%2C1008 1008 953 Kate Newman http://semaphoreslsc.com.au/wp-content/uploads/2014/02/picmonkey_image-1.jpg Kate Newman2018-12-04 21:11:042018-12-04 21:11:04Official Reopening is here! As per the Club Constitution By-Law 3 Membership renewals and fees are due to be paid by this Saturday 24 November. Members who fail to action their renewal by this date will be liable for suspension. This means you will not be able to compete, train or patrol until your renewal has been submitted and approved and your membership fee has been paid. To action your renewal please login to your members portal account via the link below. If you have not logged in to the portal since the 30 June 2018 you will be required to reset your password or if you have forgotten your password please follow the prompts as stated. Payment of your membership fee can be made online following submission of your renewal via credit card or via direct debit transfer to the club bank account. 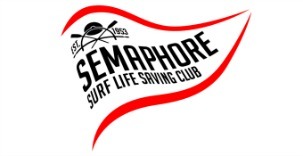 If you choose to make a direct debit transfer to the club bank account please forward a screen shot of your payment to registrar@semaphoreslsc.com.au. If you require assistance with submitting your renewal please see the Membership Registrar, Carmel Kenny, at the club on Saturday 24 November between 11.00am and 1.30pm. The Minister for Emergency Services Corey Wingard has confirmed that he will officially reopen the club in a ceremony with the Mayor of Charles Sturt Angela Evans on Sunday 9th December commencing at 11.30am. All members are invited to attend and join in to celebrate the completion of our wonderful new facilities. After the ceremony the President and members of the Board would like to invite members to join in with a light lunch thereafter.